Step 0: Make sure you are running a very recent version of Google Chrome, Safari, Firefox, or Edge. Step 1: Double check if are you connected at all. Step 3: Do you have tons of tabs open? Step 4: Is your browser (or an intermediate server) attempting to cache too much? Step 5: Does the problem relate to stale cookies? Step 6: Have you installed browser extensions (“add-on”s) or enabled blocking software on your computer? Step 7: Are the CoCalc servers down? Step 8: Is your computer infected with malware? Step 9: Is the problem with your DNS (Domain Name Service) settings? Step 10: Is your browser out of date or otherwise incompatible with CoCalc? Step 11: Do WebSocket connections work? Question: I don’t see any icons, but everything else works. Question: I can access some of my files/projects in my CoCalc account but not others in that same account. What’s wrong? 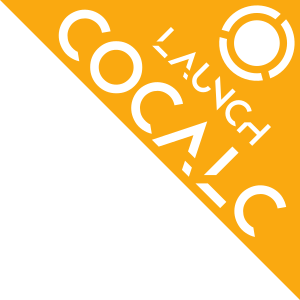 Question: I see the error message “Timeout while loading CoCalc” instead of the CoCalc landing page. There are numerous reasons why you could experience a problematic connection when accessing CoCalc. Remember: if you don’t find what you need, or if you’d like to ask a question, then please email help@cocalc.com at any time. We’d love to hear from you! Please include a link (the URL address in your browser) to any relevant project or document, as part of your email. We do NOT support old versions of web browsers!! For example, there’s zero chance CoCalc will work at all with a web browser from e.g. 2016. When CoCalc starts, it checks your browser version and will report this to you. Overall, CoCalc works best with the most recent version of Google Chrome. Once a broken connection is reestablished, your files will be saved and everything returns to normal. During the period of disconnection, the green “Save” button will be replaced by a red warning that says “NOT saved!” As you can see, you will always know whether or not your changes have reached the server. The internet connects billions of machines worldwide via a sophisticated network. All the data sent around is chopped into small pieces (packages) and labeled with source and destination addresses. While you are working on CoCalc, a constant stream of such packages is sent back and forth between your computer and the servers in the cloud. There are situations where your computer or your router cannot handle all the ongoing traffic. For example, you are simultaneously watching a video or participate in a video chat. Or, in the case of a router sharing internet access, another device like a smart TV is streaming a new episode of your favourite series. Then, these packages sent back and forth with CoCalc are slowed down or even dropped entirely. Besides a poor experience of using CoCalc, you could also see erratically high ping times or sporadic “disconnect” warnings. Some power users will have several browser tabs open simultaneously, which is fine. However, having too many open causes high memory usage by your web browser, which might make your browser stall. After closing a few tabs, reloading the tab that you are currently working on (just like you might reload any other web page) will clean that process and possibly free up some memory. If you are using Google Chrome, you can see cpu and memory usage for each and every tab in the Chrome Task Manager. This way, you can see which tabs are memory hogs (whether they are CoCalc or something else) and decide for yourself if you wish to close them. The symptom for this malady is if you can load the page but it keeps timing out, or if it doesn’t load up properly. If you are experiencing those symptoms, then either old copies of the page that you are working on are cached on some server, between yourself and the CoCalc server, or perhaps your browser is caching them locally. In this situation, the fix is easy. Just reload the website with the Shift-key held down (that tells the browser to ignore your local cache), or clean your browser’s cache directly via its interface. This situation can happen to users who are attempting to use two different CoCalc accounts, even if they are not attempting to do so simultaneously. We have an entire page devoted to strategies to make it easy to painlessly operate with multiple CoCalc accounts. For a quick fix, try to connect to CoCalc by opening up a “new private browsing window” or “new incognito window.” While inside those special windows, your old cookies will not be active and any new cookies you are given will not affect the main browser. Some extensions, for example ad blockers, block certain external websites. It may be necessary to whitelist cocalc.com if you are running one of these. In addition, some libraries used by CoCalc are loaded via CDN (content delivery network) instead of Cocalc’s own servers. Blocking their access (or more general, blocking any 3rd party scripts from a website) could cause problems. The same can happen with other firewall or anti-virus software on your computer. The site-blocking extension ScriptSafe used with Chrome-based browsers, including Iridium, has been reported to cause connection problems with CoCalc. With Google Chrome, you can go to the Settings and disable some. Alternatively, you can run Google Chrome with the command-line switch –disable-extensions . Incidentally, extensions are disabled in “incognito mode”, so “Step 3” above should have taken care of this. In Firefox, it is very easy to disable add-ons by clicking on that link. Click on the connection information in the top right corner, a dialog should pop up. In it, click the “Reconnect” button. However, if that link were to time out, or if there is nothing to see, then there is a problem with either your internet connectivity or the CoCalc website. If your browser tells you about any issues while loading that link, then the problem is likely to be on your end. If a page like https://google.com are also down, it is an indicator that your internet connection is broken. If you experience issues like frequent reloads, see strange advertising banners across the page, or additional odd banners around the page, then you might be a victim of some tool or virus injecting additional HTML code into webpages in your browser. Such malicious software can serve several purposes (e.g. tracking you, showing you ads, just disrupting your connectivity), and is almost always considered highly undesirable. For Google Chrome there is the Chrome Cleanup Tool which might help you fix this. For Firefox, you might want to check the disable add-ons screen, which might display for you an undesired add-on that might have been installed on your browser without your knowledge. It is possible that you might be a victim of some malicious software changing your DNS server and re-routing you through a bad proxy server. This is not always the result of hacking. It can be a bad configuration on your computer, the result of an over-zealous employer, or hotel. Check your DNS settings and try setting 8.8.8.8 as your only DNS server to see if this helps. That’s a free DNS service provided by Google. Alternatively (or additionally) you can setup 1.1.1.1 by Cloudflare. The problem may be solved by using another browser, in particular Google Chrome, or by updating your browser to a recent version if it is outdated. The following test page checks if WebSockets do work for you. They’re necessary to “Connect” with CoCalc. On the right hand side in the output box, the same message should come back and hence confirm that encrypted websocket connections work for you. A broken router configuration (e.g. in a larger organization like a university) or some firewall software trying to inspect your traffic might cause troubles. You are most likely using a customized font or an extension to customize fonts via CSS (Cascading Style Sheets), in your web browser. This interferes with the font displaying the images for the icons. The best solution is to disable the extension, in your browser. Sometimes this can happen if you are using multiple CoCalc accounts in the same browser. This can happen even if you are not using two different accounts simultaneously. We have a short help page, Multiple Accounts which discusses this. The suggestions there will make it work very smoothly for you.